200 countries with 200 web projects in a Gentics CMS platform service thousands of visitors in 28 languages. 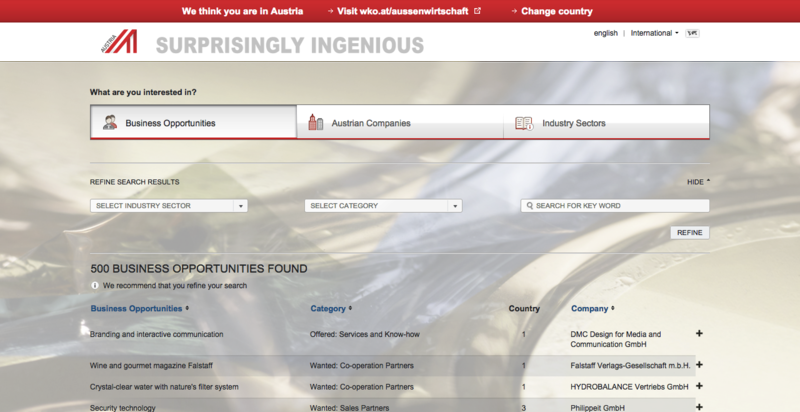 Austrian companies and their products can be present using the marketplace application. Over 30 Austrian business sectors, all ADVANTAGE AUSTRIA events and the participating Austrian companies are clearly displayed. The platform is not only presented in German and English, but also in languages that can be read from right to left (i.e. Farsi). 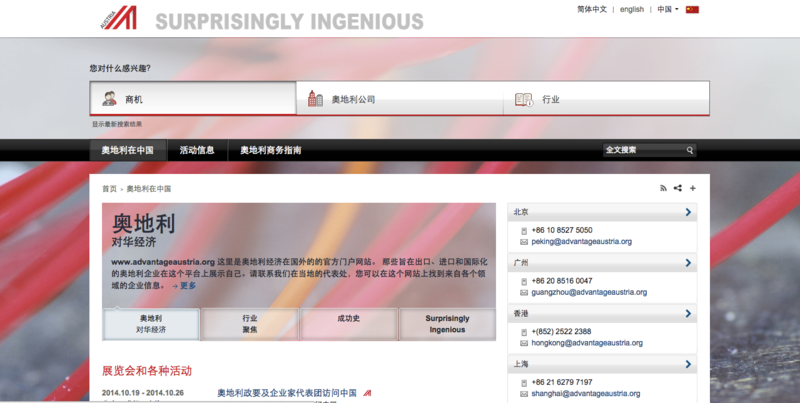 Thousands of content pages are also translated into Chinese, Japanese and other Asian languages. As part of the Austrian Federal Economic Chamber, ADVANTAGE AUSTRIA is THE service provider in the area of internationalisation with its global network of foreign trade centres. It opens up opportunities for the Austrian business community abroad and offers Austrian export companies a one-of-a-kind platform to present themselves worldwide. 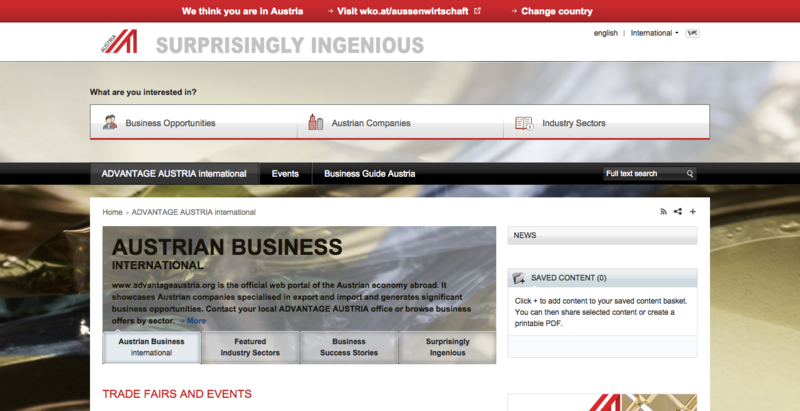 With 200 country websites, www.advantageaustria.org is THE portal for Austrian business abroad. In a Europe-wide tender Gentics was chosen from among 123 providers to set up the platform in a total of 28 languages. The individual portals are comprised of a central core of content and decentralised content of interest to specific countries (28,000 content pages in 28 languages). It is supported and maintained worldwide by around 250 editors and translators. The CMS has also been linked to the existing CRM and an eCommerce solution (marketplace with business opportunities and customer presentations). "A CMS for the entire world! Gentics Content.Node has demonstrated its flexibility (incl. 28 languages) for Austrian business presence abroad, doing so with the professional implementation of our project and a very high level of commitment!"